Issuing a corrective invoice – do’s and don’t! It’s happened to every business-person at one time or another. A change in the order, a return or just a simple book-keeping mistake means that you have to issue a corrective invoice (factura rectificativa). But these corrective invoices must comply with strict rules to prevent later problems with Hacienda (the tax office). A corrective invoice is one that is issued to correct a mistake contained within an earlier invoice. It must be clear that it is a corrective invoice, as well as the identification of the original invoice being amended (issue date and serial number). It should have its own unique sequential numbering series. In the case of a return of merchandise, it is easy to justify the physical return of the merchandise using the delivery note (albarán). In the case of services, you must carefully lay out the reasons for the changes, and if possible ensure that the customer countersigns your copy of the invoice to prove both parties are in agreement. However, if you are in an on-going relationship with a client, and receive returned merchandise from them, you are now allowed to include the refund in your next periodic invoice. This negates the need for a corrective invoice. Common sense says that if we have to modify an issued invoice that hasn’t yet been submitted to Hacienda, we just go back and change it, right? Once an invoice has been issued, it should never be modified again. If we have to change it, we must issue a corrective invoice, thus preserving the integrity of the original invoice. What are the reasons for issuing a corrective invoice? The law specifies a series of situations under which a corrective invoice may be issued (see advice from Hacienda on the legalities of the situation). If we are changing the total billable amount, we only have four years from the date of issuing the original invoice within which to issue the corrective invoice. The corrective invoice will only state the new billable amount, which can be positive or negative. In this case both invoices (original and corrective) will be valid. We can also issue a corrective invoice substituting vital information (ie, the tax information of the client, or substituting erroneous merchandise information) leaving the billable amounts untouched. In this case, the corrective invoice annuls the original invoice. We can use a single corrective invoice to rectify several erroneous invoices in one go, as long as all the original invoices are fully identified and were to a single tax-payer. If the original invoice was not paid for, then you must prove that your client is either undergoing bankruptcy proceeding (concurso de acreedores), or that more than one year has passed since the issuing of the original invoice and you have presented a judicial demand for payment against the debtor. If you are applying a commercial discount due to volumen of operations (ie, your client has exceeded sales quotas for the year) then you don’t have to identify any previous invoice to be modified – all you have to do is specify the time-frame within which the discount was applied. Careful with negative corrective invoices! Corrective invoices with negative amounts (ie, Hacienda has to return tax to you) will almost always be studied with care by tax inspectors. 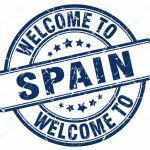 Although the return of merchandise is usually easy to prove (take care to keep the delivery note and any other documentation proving the return), the annulment of services rendered is very difficult to prove, and will often be denied by Hacienda. You should contact us before issuing any corrective invoice in these situations to ensure that due process is followed to minimise your exposure. It used to be legal to use corrective invoices to manage your IVA payments. For example, you issue an invoice in March but your client negotiates to pay in June. You would be expected to pay the IVA of the invoice to Hacienda at the end of the first quarter, but would not receive the money from your client until the second quarter. It used to be possible to issue (and deliver to your client) a corrective invoice cancelling the March invoice for non-payment, and then reissue a new invoice in the second quarter. This loophole has now been closed, as you can no longer cancel an invoice only to issue a new one for the same concepts at a later date (Real Decreto 1619/2012, de 30 de noviembre). However, it’s surprising how often people still try to do this! A self-employed person who sells physical items receives an order to ship 10 boxes as a once off sale. The merchandise is delivered, the albarán is signed for and an invoice is issued. At a later date, five boxes are returned. An albarán de recogida (recovery note) is signed for. The original invoice is now erroneous – too much tax is being paid to Hacienda. Therefore, a factura rectificativa is issued to modify the real amount of tax being paid. The invoice is for a negative amount, and the reason (return of five boxes) must be clearly explained on the corrective invoice. The albarán should be kept together with the invoice to prove physical receipt of the returned goods. Note: If the return had been made as part of an on-going sales relationship (ie, the boxes were on sale or return) then you would not be expected to issue a corrective invoice. Instead, on the next invoice for goods delivered, you would simply note the return of the five boxes and apply a negative amount for them. 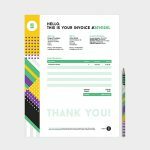 How to strike off an unpaid invoice? Although the regulations regarding recovery of unpaid invoices has recently been relaxed, this is still a thorny issue. A corrective invoice should be issued explaining that the referenced original invoice has not been paid, and therefore the invoice total has been reset to zero. You only have six months from the date of issuing the original invoice to issue the corrective invoice. Guidance from Hacienda upon the legal reasons for issuing corrective invoices. Corrective invoices should be submitted to Hacienda along with your regular tax declarations. Ensure you give us all copies of corrective invoices along with your regular book-keeping.